PicoQuant announced the MultiHarp 150, its newest generation of bench-top event timers with USB 3.0 interface. Its outstanding data throughput allows to fully exploit the count rate limits of time-resolved single photon experiments. 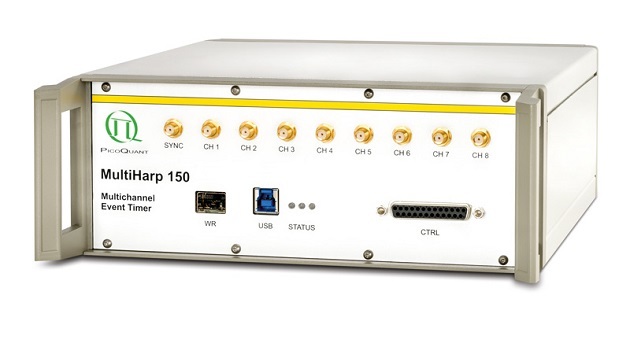 With 4 or 8 detector channels and a common sync input, the MultiHarp 150 is ideally suited for photon coincidence measurements in quantum optics. It is world’s first commercial event timer on the market, which is prepared to be used in a White Rabbit timing network. 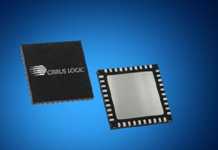 This feature allows two modules to be synchronized over ranges as high as tens of kilometers, making it the ideal time tagger for long distance quantum entanglement experiments. As a matter of course, the MultiHarp 150 blends in naturally with PicoQuant’s line-up of timing electronics. 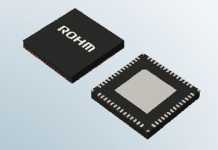 It has three time-resolved data acquisition modes included: a forward start-stop histogramming mode and two time tagging modes. 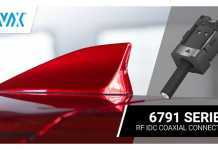 Each input has an internal adjustable timing offset with ±100 ns range, which eliminates the need to adjust cable lengths. 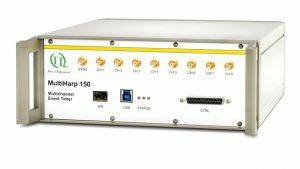 These features make the MultiHarp 150 an easy-to-use and versatile instrument, which can also be applied for many time-resolved applications in life science, materials science, and metrology. PicoQuant’s confidence in the quality and the robustness of the MultiHarp 150 is underpinned by a 5-year warranty.